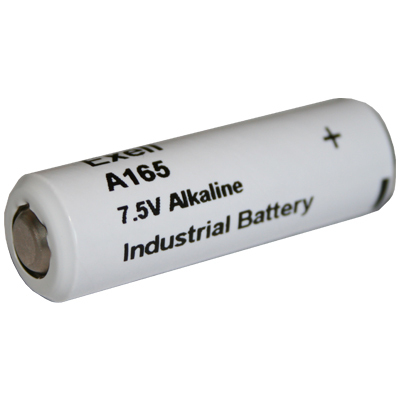 The A165 Battery is an Alkaline replacement for the once popular Mercuric Oxide TR-165, or E164, battery. It is used in specialist applications such as the MK-328 Spy Radio. It is also used in other industrial applications (Photographic, Pager, Instrument, Electronic, Test Equipment, and more). This A165 replacement produces 7.5 Volts, which is higher than the 6.8V produced by the original Mercury version. Most devices accommodate the small increase in voltage and function perfectly.